Many homeowners decide to get replacement windows for energy efficiency. This means they want to reduce the amount of energy their home uses, meaning lower bills and better insulation. An energy-efficient window can make your home nice and cool with only a little help from your HVAC unit. But what exactly makes up an energy-efficient window? The window frame is what holds the product together. It’s a large portion of the window, which has an important role in keeping heat out. The heat absorbed by a frame can seep into the glass, which then has an easier time entering your home. Check what materials your frame is made of. If it is wood or aluminum, it can be conducting more heat than expected. The best alternative is an insulated vinyl or composite frame. The number of layers in the window matters, because it changes the level of insulation. Window companies know that multiple layers perform better, because the heat needs to go through more material. The heat is reduced to acceptable portions as it is conducted from pane to pane. It also keeps the heat inside your home, useful for the winter season. Check your windows to see if they are double- or triple-layered units. The space between your window panes should be clear, or the condensation should be on the outside. If you see water droplets forming within the window, it is leaking in air. Aside from leaking in moisture, this leak can also enable the transference of hot air. If you see this, it’s a sign of too much UV light absorption. You can fix this by getting low-E coatings. 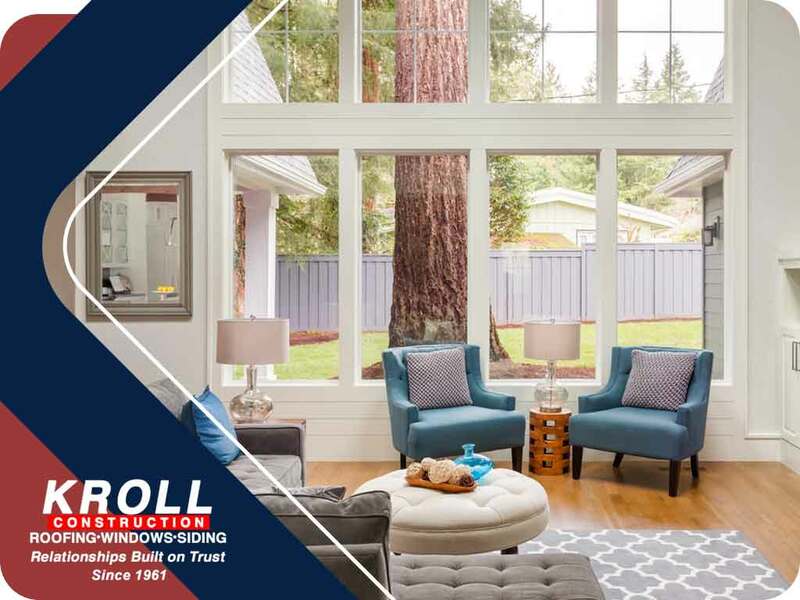 Here at Kroll Windows, we offer the most energy-efficient window replacement today. Our windows are equipped with insulated frames, Low-E glass, durable finishes. All are available in several designs to fit your home. Call us (844) 688-9632 to learn more about services and get a free estimate. We serve residents in Michigan.